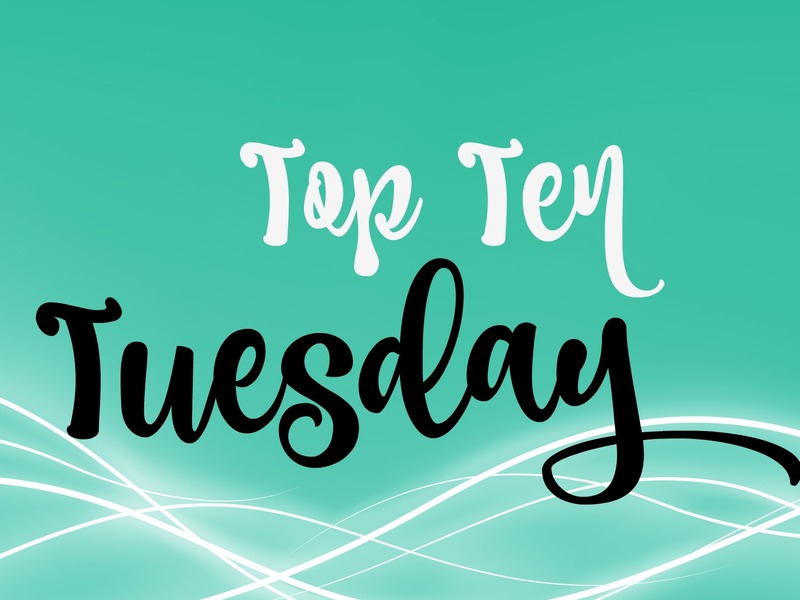 Top Ten Tuesday – November Excitements! Happy Tuesday and Happy November! I have to say, the month of October was pretty fun and full of scary excitement. But, spending the last weekend of it with a cold was not a great way to see it off, especially since I missed a Halloween party because of it. 10. Christmas movies – They have already started Christmas movies on the Hallmark channel and I love them. The cheesier the better. Really they’re almost all about the same thing but I could watch them around the clock. Add in other favorites of mine like Elf, Christmas Vacation, A Christmas Story, Home Alone, all of The Santa Clause movies, and more, and I am a happy big kid. Thank you, Daddy, for your never ending love of all things Christmas. 9. Autumn’s 9th birthday – This will be the first birthday of Autumn’s that I will not be with her, but I will still be celebrating the amazing little girl that she is. I’ll be sending her lots of birthday wishes 3200 miles away and we already sent her a super cool pair of rain boots at her request. By the way, how is that she is going to be 9 already? I swear she was just that little 5 lb. 4 oz. baby girl that I met in the hospital and instantly fell in love with. 8. Cooler weather – I say this one with a chuckle, because it’s Florida and it won’t really cool off for awhile. But, the humidity is dropping and it’s actually getting below 70 at night so there’s that. The time changes this weekend, which I love, because it will get dark earlier. 7. The Raging Idiots – Both my bestie and I are fans of The Bobby Bones Show and she treated us to tickets to his upcoming show at The Straz on the 19th. I am super excited for a girls’ night out with bestie, both of us sporting our Pimpin’ Joy shirts, and hoping to meet him afterwards. 6. Running – Shocking, I know. But with some cooler-ish temps, it makes running even more enjoyable. And if I’m going to tackle the Ultra Challenge at Gasparilla in February, I need to get going on a training plan. 5. Milestones Running & Triathlon Grand Opening party – This is pretty exciting, too. My friends at Milestones are having a grand opening party on Friday the 11th at their first ever retail store. It’s going to be fun! 4. Christmas decorations! – I love Christmas. I love Christmas decorations. I love putting up our tree and seeing the ornaments that we’ve collected over the years. I’m also excited to add two more Christmas stockings to the mix for my mom and Minnie now that they live with us. Santa will need be busy when he stops by our house this year. 3. Rib Fest – I’m hoping we make it to this so I can see Chris Young in concert. Ribs and beer will be great, too, but throw in country music and it’s even better! 2. The Election – I swear I’m not making this a political post, but let’s just say I cannot wait for the election to be done and over with. I amy be counting the days just to not have to hear the endless commercials or see the endless campaign mail in our mailbox. 1. Thanksgiving – I am very much looking forward to seeing Nick, Jenna, and Autumn for Thanksgiving. My mom and I are flying to Seattle and taking the ferry over to their new home in Poulsbo. I cannot wait to see them – I miss them so much. BUT! And it’s a big but, it will also be a weird Thanksgiving as it will be the first one that Mike and I will ever spend apart. What are you looking forward to this month? Don’t forget to visit Run.Chew.Sparkle to see what is on her list of November excitements!